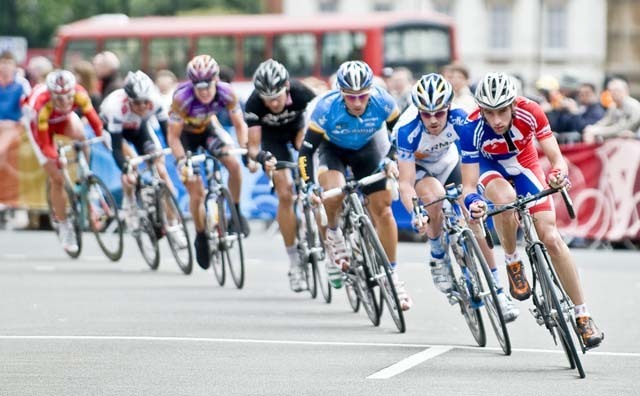 Italian sprinter Alessandro Petacchi (LPR Brakes) has won the opening stage of the Tour of Britain in central London on Sunday, in his first race after finishing a four-month ban for doping. 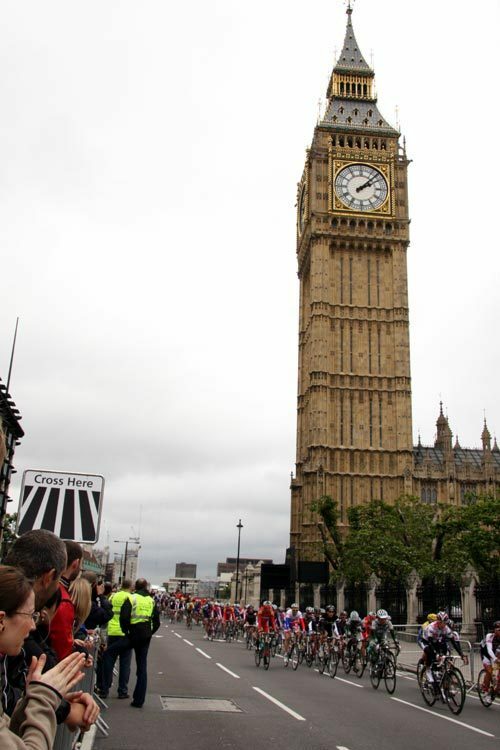 As expected, the opening stage of the Tour of Britain up and down the Thames ended in a fast bunch sprint. 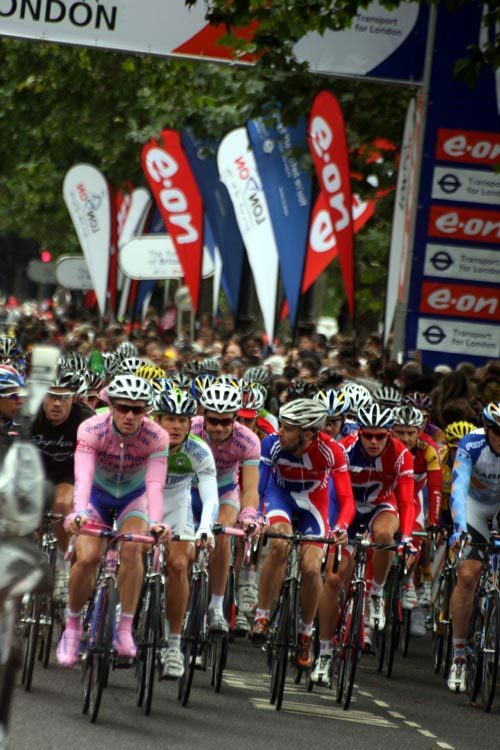 LPR, Garmin-Chipotle and Great Britain all tried to lead out the bunch. 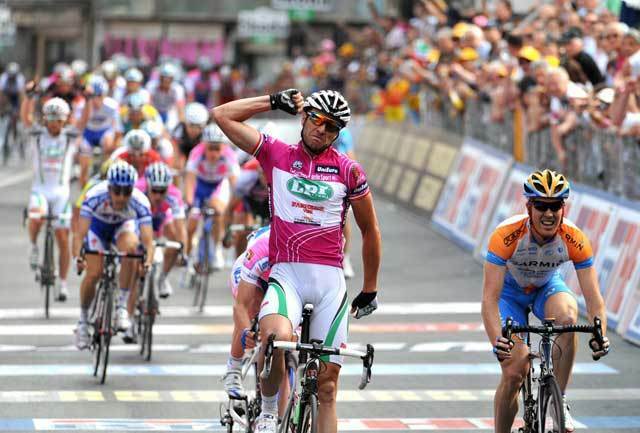 Petacchi hit the front in the final 200 metres and won with his arms in the air. 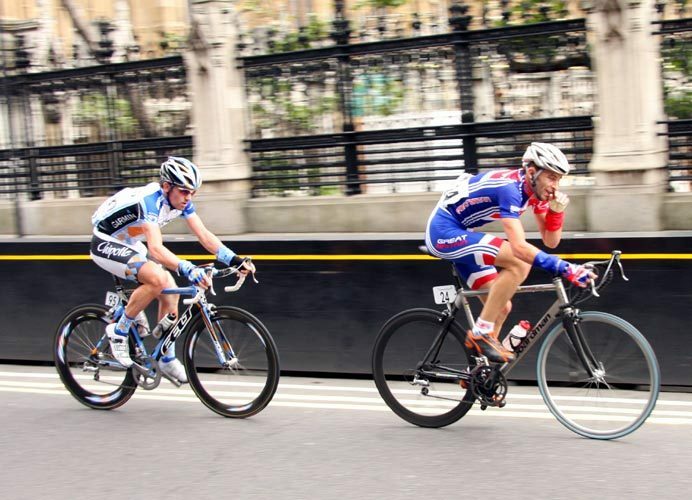 British national champion Rob Hayles (Great Britain) was second and Magnus Backstedt (Garmin-Chipotle) was third. Dean Downing (Rapha-Condor-Recycling.co.uk) was fourth and Roger Hammond (Columbia) was sixth. A good sign for the rest of the race. Petacchi pulled on the yellow jersey and leads overall by four seconds thanks to a ten-second stage winner?s time bonus. Hayles is second and Daryl Impey (Barloworld) is third at the same time thanks to taking six bonus seconds while part of the eight-rider break. 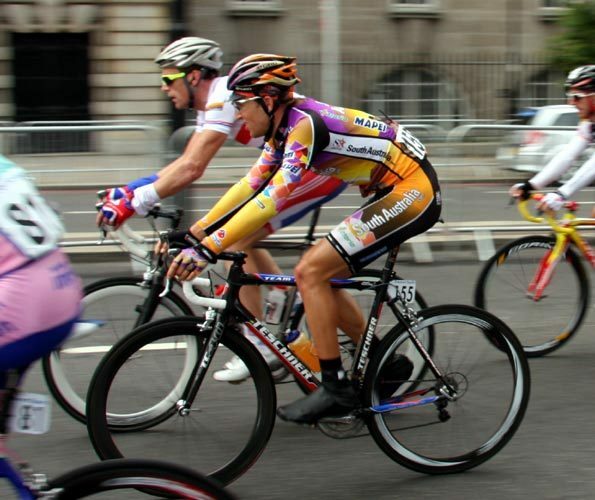 Petacchi failed a test for Salbutamol in the 2007 Giro d?Italia and was eventually banned in April after the judges at the Court of Arbitration for Sport decided he could not justify the high level of the drug in his urine, which was also above the limit on his Therapeutic Use Certificate. 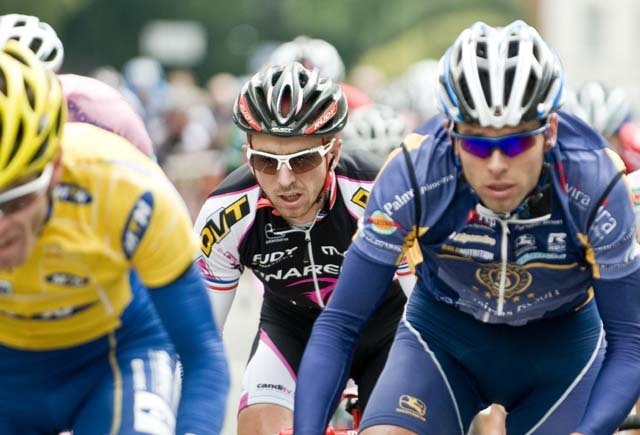 Petacchi has always denied doping. He was sacked by the Milram team and signed with LPR during his ban. ?After a long time away from races it wasn?t easy to comeback and win. The speed was high on the last few laps but I think I won it pretty well,? Petacchi said. ?It was important to win with my new LPR team mates. They made some mistakes in the lead out but they will get better and winning it helps us all.? ?It wasn?t easy when I was banned but fortunately my son was born during the summer and that helped but it?s never easy to have to watch the Giro and the Tour de France on television. When my ban ended on August 31, it felt almost like getting out of jail and it was good to be able to get back to doing what I always like doing.? ?I think it was a long ban for what I was accused of. I used my inhaler a lot on the day I was positive and I was also dehydrated. The CAS didn?t believe my defence and I was caught up in a difficult moment for cycling, when other riders were being banned and so I was given what I think was a severe ban.? Petacchi said he will try and hold onto the leader?s jersey during Monday?s second stage from Milton Keynes to Newbury. 10. 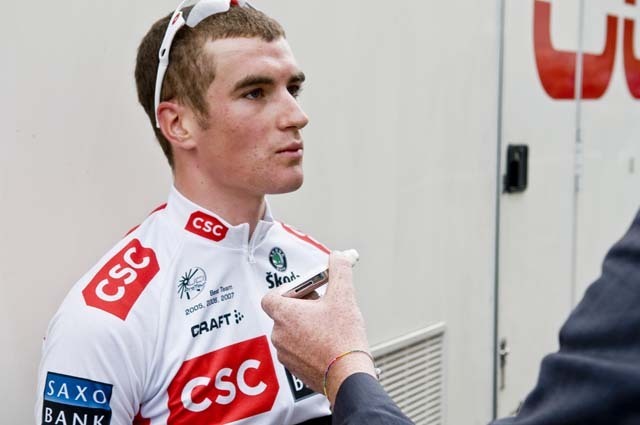 Jonny Bellis (GB) CSC-Saxo Bank all same time. 10. Kristof Goddaert (Bel) Topsport all at 10 secs.